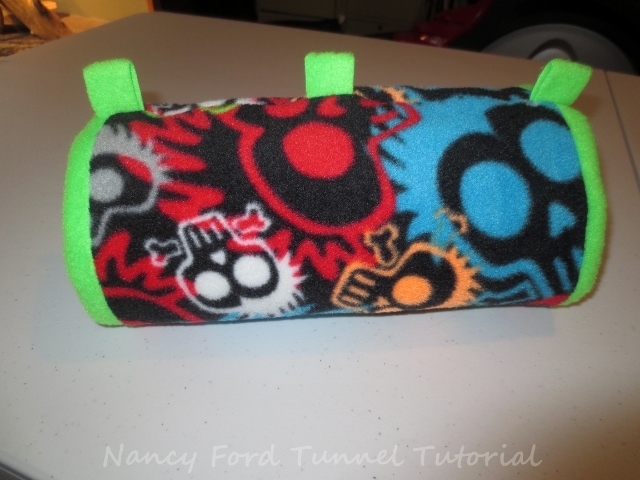 The measurements in this tutorial will make a tunnel 10-1/2" long with a 5" diameter. 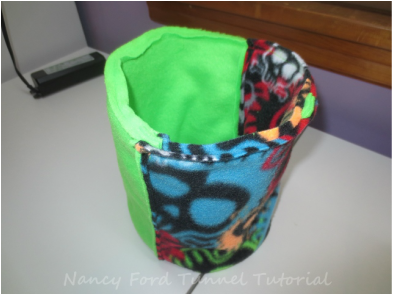 There will be a 1/2" border of the solid at each end of the tunnel. 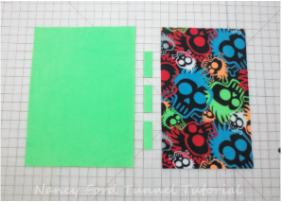 The print is narrower than the solid so they will not lay flat when the second side is sewn. 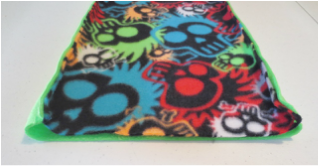 Fold one open end down inside the other so two layers of print and two layers of fleece are right sides together, as pictured. 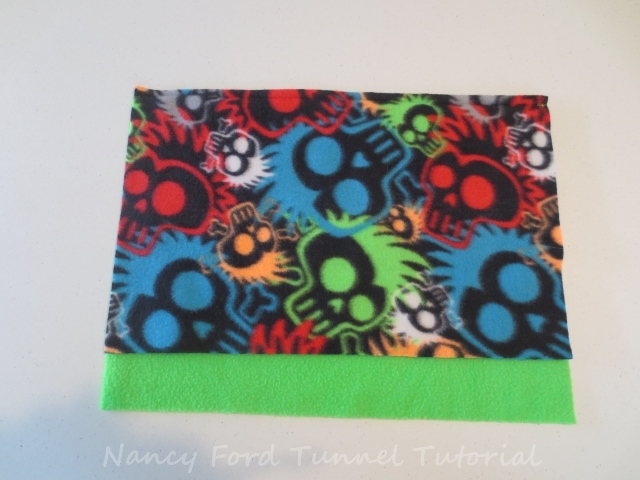 Fold two tabs in half and insert between two layers where print and fleece meet. Pin in place. These will be the two end tabs. 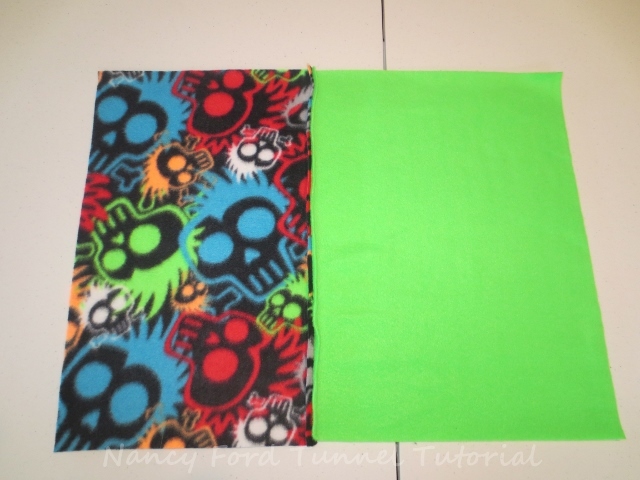 Fold 3rd tab in half and insert between two print layers, centered. Pin in place. 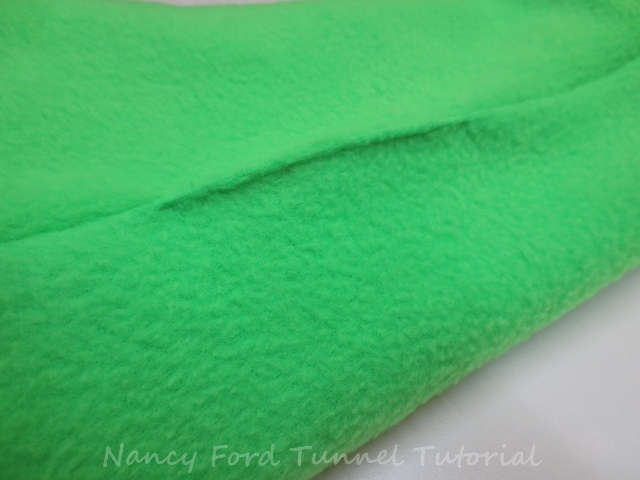 Sew around the ends, leaving a 2” gap on the solid fleece for the turn hole. Backstitch at both ends. This is how the tunnel looks BEFORE turning right side out. Pin and sew the turn hole. Turn the tunnel right side out. Here is the finished product.